Nestled between Baldwin Hills Estatesâ€”one of the countryâ€™s wealthiest majority African American neighborhoodsâ€”and Crenshawâ€”the location where the classic film Boyz n the Hood is basedâ€”is Baldwin Hills Crenshaw Plaza. Situated on 43 acres in South Central Los Angeles, this 865,000-square-foot shopping mall may still be a diamond in the rough. However, Quintin E. Primo III considers it his crown jewel. Within the next three to four years, as banks were seeking fee income to improve their profitability and leverage their platforms, large institutions were buying out niche players in the commercial debt markets. This in turn drove up the valuations for these smaller businesses. While it made it difficult for smaller players without the deep pockets of a global banking institution to compete, those large banks were buying out these boutique operations at huge multiples. 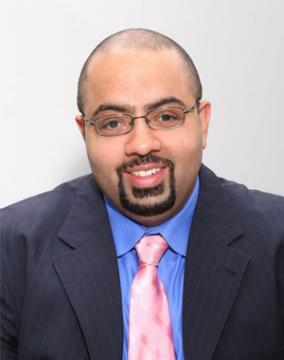 “All of a sudden, what used to be small mortgage bankers were now institutional arms, the very companies with huge capital,â€ recalls Louis W. Hoyes, partner, vice chairman, and chief investment officer at Capri. That $40 million was suddenly worth considerably more. “We ultimately sold that business five years or so later for about $85 million. We were given an offer that was too good to pass up,â€ says Primo. When the sale closed, Carter, whose expertise was related to the mortgage finance business that was just sold, collected his share of the profits and joined the CharterMac Mortgage Capital, but remained a partner until 2006. Primo re-invested in the business and created the investment advisory business that exists now as Capri Capital Partners. He later bought out all his partners in 2006 with the assistance of a large institutional investor. – 360 Residences, a luxury 23-story high-rise mixed-use project containing 213 apartment units and approximately 10,630 square feet of commercial/retail space in San Jose, California. – North Bethesda Market, a mixed-use project in North Bethesda, Maryland, that consists of 397 multifamily units, plus 199,000 square feet of retail space. – First Avenue Tower, a 196-unit luxury apartment tower with about 3,200 square feet of ground floor retail space on Manhattan’s Upper East Side. – 1500 Locust Street, a 45-story, 610-unit apartment building in Philadelphia that includes 8,900 square feet of ground floor retail and a 13-story public parking garage. But according to Primo, the firm’s most significant deal–Baldwin Hills Crenshaw Plaza–came by way of a friend who was its property manager at the time. 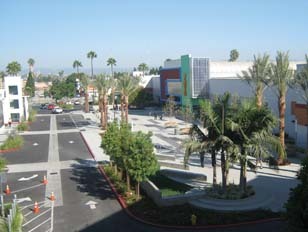 Baldwin Hills Crenshaw Plaza first opened its doors in 1947 and was one of the first malls in California. The property had changed hands several times and the quality suffered as investors had not put money into refurbishing. In 1995, Kenneth Lombard and Magic Johnson opened up a Magic Johnson Movie Theater next to the mall. “I would say [previous mall owners] were more focused on income and revenue than they were on trying to find the connectivity between the quality of tenants and who the shoppers are in the neighborhoods,â€ says Lombard. Enter Capri. In 2005, Capri’s assets reached $2.7 billion. But as always, Primo was looking for the next deal. “A very good friend of mine, who I’d known at that time for 20 years who was then the property manager of the mall, called me and said, ‘Listen, we’ve been managing this property for many years. It is now, we understand, up for sale. We think it would make a great addition to your portfolio,’â€ recalls Primo. A meeting was set at the Peninsula Beverly Hills with the two owners of the mall late one morning.